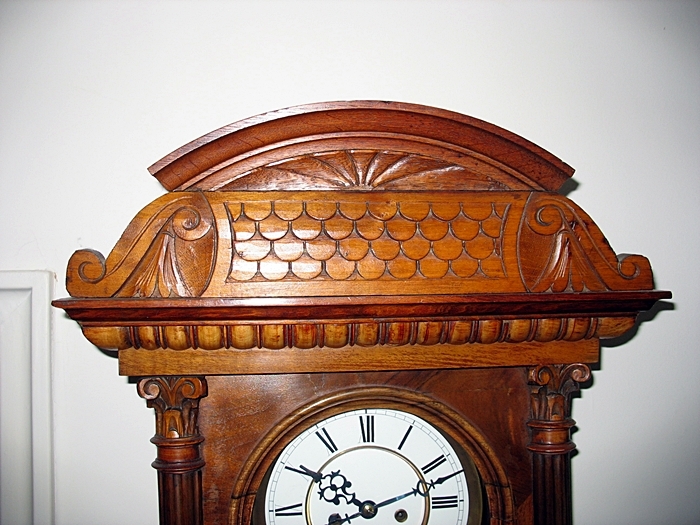 This beautiful clock strikes the hour and half-hour on a rod that has a deep and pleasing tone. 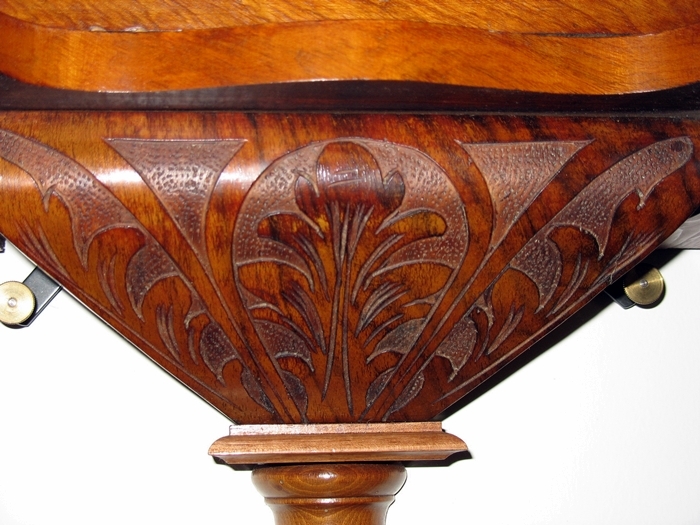 The piece is cased in walnut and retains its original finish. Dimensions: 43" long x 17" wide x 7" deep. 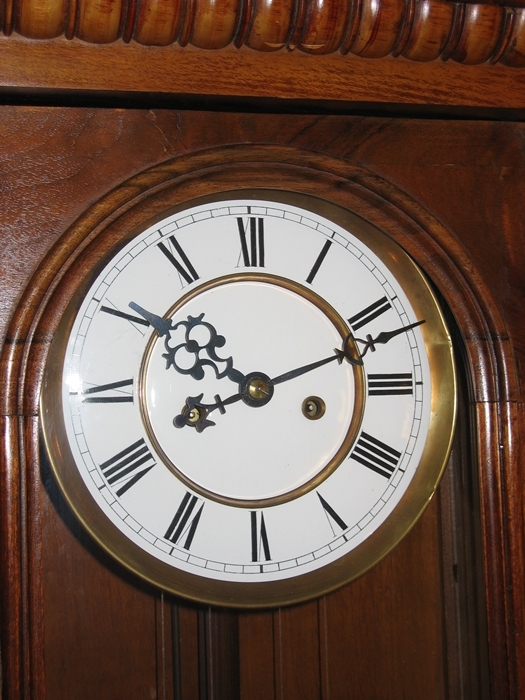 The movement has been overhauled and has fresh cable; it is signed and bears the Becker trademark and serial number. There are no extra holes in the case.